If you have an app you use in your classroom, please add it to comments at the bottom. I’ll update as soon as possible. If you’re the developer of a great educational app, please contact me. I’ll review it. If it meets Ask a Tech Teacher standards (high quality, ease of use, no/low advertising, quality educational value), I’ll list it. More details here. Toontastic–empowers kids to draw, animate, and share their cartoons through imaginative play. Voice Thread–Talk, type, and draw right on the screen. AirSketch Free–Turn your iPad into a wireless whiteboard! Project live sketches to a local computer. Drawing Box (free)–Drawing Box is the most suitable app to learn and practice drawing and painting. With reponsive smooth pencil and brush strokes, graphical and intuitive interface, you can use it to make a quick sketch or a detailed study on the go. Doodle Buddy–Finger paint with your favorite colors and drop in playful stamps. How to Draw–Listen, follow the instructions and draw on your screen. See how easy it is. PS Express–Phtoshop Lite–Adobe’s free app for editing photos on your iPad, iPhone, or iPad touch. Pogo Pig–teaches 2-4 year olds fun lessons about savings. Atlas–Barefoot World Atlas is an interactive 3D globe for iPad that invites children to explore the regions and countries of the world, discovering hundreds of fascinating features and immersing themselves in the rich wonders of our planet. Google Earth–Fly around the planet with a swipe of your finger. Explore distant lands or reacquaint yourself with your childhood home. Search for cities, places, and businesses. Stack the Countries Lite Terra–Stack the Countries Lite makes learning about the world fun! Watch the countries actually come to life in this colorful and dynamic game! Stuck on Earth–A new kind of travel app that brings you the best places in the world to visit, photograph, and experience. It’s the ultimate app for explorers, photographers, and daydreamers. SRN Client–Student Response Network (SRN) is a powerful “virtual Clicker” student/audience response system designed for use in wired school computer labs or with wireless laptop groups. Civil War Today–For less than one penny per day you can experience the war as it unfolded, one day at a time, with daily updates that let you live the events in “real-time” over four years. Early Jamestown–interactive textbook exploration of the early days of the Jamestown settlement and the state of Virginia. Pass the Past–educational game to help students prepare for Virginia’s Standard’s of Learning (SOL) exams with a focus on World, United States and Virginia history, civics, and geography. US History–McGraw-Hill Education’s American History Time Line is a fun and informative way to navigate the history of the United States. Learn Chinese with Mandarin Madness–Learn Mandarin Chinese vocabulary the FUN and EASY way with Mandarin Madness the AMAZINGLY EFFECTIVE vocabulary training game. Kids Maps–What are the major deserts of the world, the highest mountains, or the longest rivers? The Kids World Maps app will help you answer these important geographical questions. LandFormer–Raise and lower terrain to solve puzzles in this unique and challenging game. TapQuiz Maps–Play TapQuiz™ Maps for an easy and quick way to master geography. Learn the countries of the world through a fun and engaging game! AIRR Math–student centered math activities in AIRR Math promote a strong, solid foundation for students’ success throughout their educational experiences. Algebra Intro–Free. Have you forgotten most of your algebra? Algebra Touch refreshes your skills using techniques only possible on your iOS device. CalcMadeEasy–Free–One of the Best Calculators for iOS devices. CalcMadeEasy FREE version comes with fully functional Scientific Calculator and Notepad with automatic note taking capability. Egberta’s Equations–Egberta the macaw has a nest full of tasty eggs that Cliff the climber wants to eat. Unfortunately, the eggs are on top of a tall cliff. Help Cliff reach the top and get the eggs by completing equations. Flash to Pass–easy-to-use, elegant program designed to facilitate mastering the basic math facts learned in Elementary School. Fraction Basic–free video app provides a quick and simple way for you to learn and understand the basics behind fractions. Free GraCalc–A powerful, flexible graphing calculator . . . and it’s free! Grade 1 Math–Simple and easy to use math drill app for your 1st grader! Grade 2 Math–Simple and easy to use math drill app for your 2nd grader! Grade 3 Math–Simple and easy to use math drill app for your 3rd grader! iFormulae–simple library consisting of various formulae, equations with their example. Math Drills Lite–Graphically rich and fun environment allows a single student to learn basic math skills in addition, subtraction, multiplication and division. Math Glossary–MathTerms is an illustrated glossary of mathematics terms in English and Spanish. Math Zoom–An animal adventure through the world of numbers! Mental Math–Amaze and delight others as you multiply, divide, and square at lightning fast speed. My Math Flashcards App–My Math Flash Card App is for mastering basic elementary math facts. 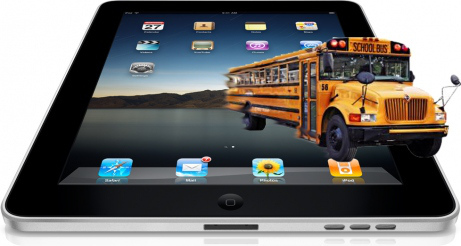 Its an easy to use and customizable application to enable focused learning. Quick Graph–a powerful, high quality, graphic calculator that takes full advantage of the multitouch display and the powerful graphic capabilities of the iPad and iPhone, both in 2D and 3D. Ruler–With a single touch your iPhone turns into a top accurate ruler. SoundBuilder–most powerful heart sounds and murmurs app ever designed for a mobile device. Splash Math 5 worksheets–5th grade–a fun and innovative way to practice math. 9 chapters covering an endless supply of problems. Timed Test Arcade–Timed Test is a full-featured addition math facts timed test simulator. Create completely customizable timed tests. Undersea Math–Learn Addition Visually – Solve all levels on the treasure map to find the treasure chest. iBrainstorm Project–Capturing and sharing your inner most creative genius has never been easier. Introducing the first multi-device collaboration tool from Universal Mind. Popplet–Great for work. Great for school. Popplet is a platform for your ideas. Easy Beats–free version of our drum sequencer built from the ground up to be the quickest and easiest way to create great sounding 4 bar beats. Guitar–tudioShare allows the novice or professional musician to record, mix, and share your music with friends, fans, and fellow musicians anywhere in the world. Soundrop–Draw lines and watch as Soundrop uses them to create music! Educreations–turns your iPad into a recordable whiteboard. Creating a great video tutorial is as simple as touching, tapping and talking. Explain a math formula… Create an animated lesson… Add commentary to your photos… Diagram a sports play…. Paper (free)–Capture your ideas as sketches, diagrams, illustrations, notes or drawings and share them across the web. Screenchomp–share a great idea… Explain a tricky concept… Help kids with their homework. ShowMe–Turn your iPad into your personal interactive whiteboard! First Site Words (fee)–focuses on the core vocabulary your children will need throughout their lives. IBooks–amazing way to download and read books. Kindle–read ebooks, newspapers, magazines, textbooks and PDFs on an easy-to-use interface. SparkleFish–a hilarious audio story completion game that will have you laughing uncontrollably. iLearn Chinese–introduces Chinese characters to non-native speakers or young kids in a fun and intuitive way: to understand their origins as pictures of the objects they represent. 3D Brain–Use your touch screen to rotate and zoom around 29 interactive structures. Elementals–A fun periodic table where every element has its own unique personality. Explore the Animal Kingdom–Let your kids go on a safari and discover the animal world anytime! Molecules–Molecules is an application for viewing three-dimensional renderings of molecules and manipulating them using your fingers. Murky Reef–Murky Reef is a series of thematic educational apps that encourages critical thinking through contextual game play. Science 360–The National Science Foundation’s (NSF) Science360 for iPad provides easy access to engaging science and engineering images and video from around the globe and a news feed featuring breaking news from NSF-funded institutions. Science House–growing library of over 80 hands-on Science lessons that are great for home and the classroom. Spelling Teacher–School Edition–great app for spelling. Use the predetermined list of words or make up your own list. Vault Breaker–Train your brain with our cool logic and memory game, by guessing the secret code for the vault in as few attempts as possible. Color Uncovered–Explore the surprising side of color with Color Uncovered, an interactive book that features fascinating illusions, articles, and videos developed by the Exploratorium. PBS Kids–Watch videos from your favorite PBS KIDS television series anytime, anywhere (in the USA). I would add NEARPOD to this awesome list 😀 Amazing app to engage your students, creating your own multimedia presentations and giving them the opportunity to interact with each other! It really worked for me! They are on TW as @nearpod and they also have a FB page. Thanks for adding that to the list. I’ll check it out. Do I have to check each one, or are all of these really for iPads only or mostly? We don’t use iPads or tablets in the classroom, but I am looking for free Win apps for our PCs. I didn’t see these great free apps: Audactiy, Alice, Scratch, Looking Glass, TuxPaint. These should all be for iPads. Thanks for the additions. I’ll add them during our update time. An app that was recommended–Nearpod (http://itunes.apple.com/us/app/nearpod-teacher/id523540409?mt=8). Students see on their iPad a presentation which is being sent out from the teacher’s iPad. Nearpod can deliver tests and videos and also be used to take polls. How about Alge-Bingo for the Math section?! It just won the 2012 National STEM Video Game Challenge. It’s a great game that helps students develop their algebra equation solving skills within a Bingo game. we produced the app 1+1 which helps children learning the addition of numbers from 1 to 10 . Would be nice, if you could test our app. I’m always happy to review apps. When they come from non-teachers, I have to perform my own due diligence before listing them. Check here for details. Thanks for the link. I’ve posted it for my readers. I looked at that app. It looks great. When I update this list, I’ll be adding it. Thanks for the heads up. Any ideas about the the “perfect” app to replace using Kidpix on our computers? Are you thinking drawing and writing for kids? I’d probably recommend Doodle Buddy. You paint with your finger and it has stamps you can accent with. And, it’s free! Thank you for posting these, I am a substitute teacher and these will help me a lot! Any app suggestions that would help with reading fluency? I’ve heard good things about them. Let me know what you think.